Gateshead is a town that is arguably growing slowly in confidence and status. 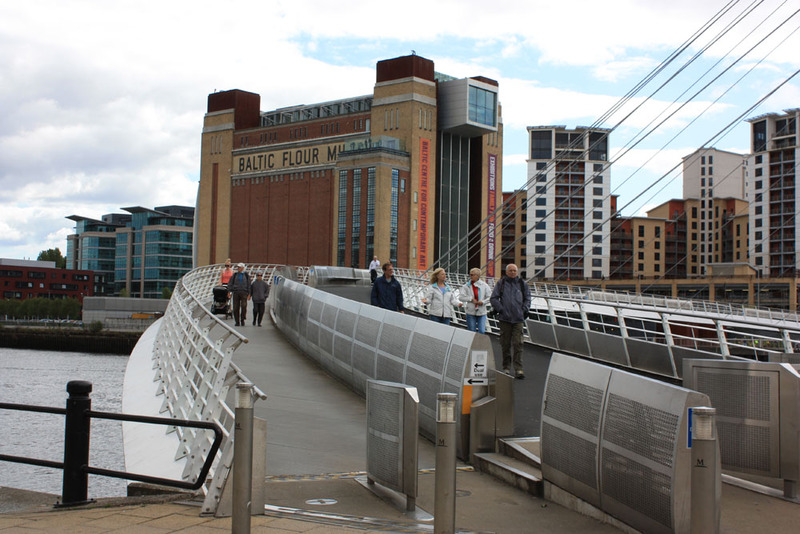 Could it one day even challenge the city status of its historic neighbour across the Tyne? DAVID SIMPSON explores Gateshead’s transition from an apparent ‘backwater’ to a major centre of northern culture. In times past Gateshead was once unflatteringly described in parliament as a ‘dirty lane leading to Newcastle’. It has also been described in more chauvinistic times as ‘Newcastle’s wife’ and then there’s that oft-told story of a stranger asking a native Geordie for directions to Gateshead. The reply is something along the lines of “gan ower the bridge and ye’ will say ‘this canna’ be Gyetsid’, but it is”. Things are a lot different today of course, at least for those parts of Gateshead that face the Newcastle waterside. 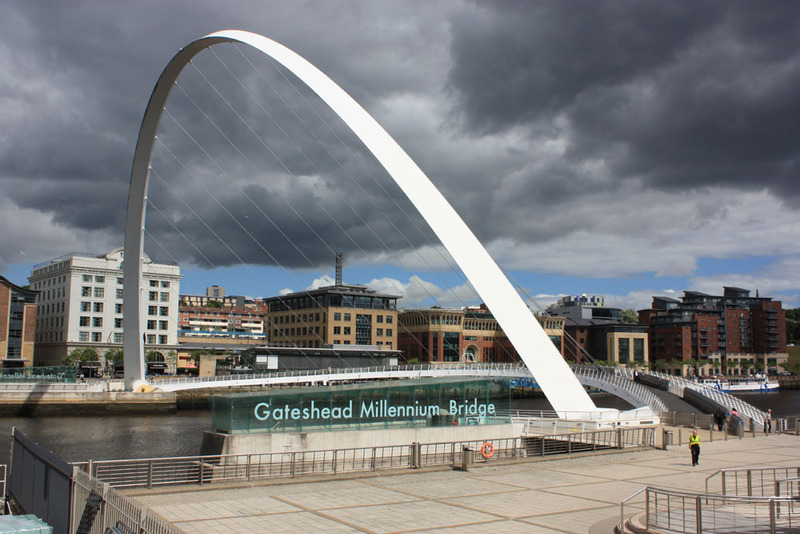 Gateshead has been a town and borough in the shadow of Newcastle since medieval times and often willingly or unwillingly under its neighbour’s direct control. Since 1882 Newcastle has held the status of a city, reinforcing Gateshead’s role as a ‘suburb’ despite the two places belonging to two quite different counties for so many centuries. There is, almost, dare I say it, a sense that modern developments and future plans could, in decades to come, bring about a turnaround in this status. Gateshead, as it grows and develops might well become the sparkling modern city of glass and steel while Newcastle might come to serve the splendid role of ‘the old toon’, a kind of beautiful historic quarter with charming old buildings, streets and bars so typically found in many of the most frequently visited continental cities. I regularly listen to Radio 2 these days – I’m showing my age here – and I often hear them announce forthcoming tours of prominent performers to major cities. 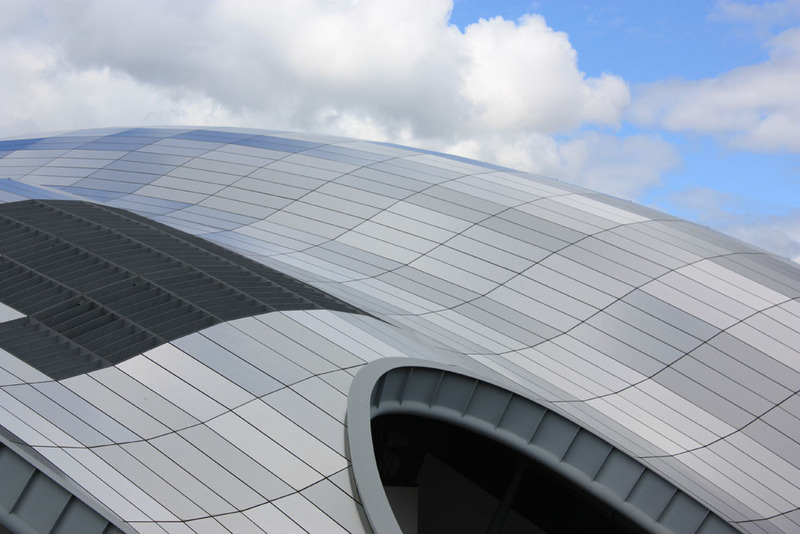 Through the splendid work and fabulous event programme of the wonderful venue that is Sage Gateshead it is often Gateshead that you hear listed amongst those cities, rather than Newcastle. It’s quite an astonishing thing, when you think about it, given the almost ‘backwater’ status that Gateshead once held. And there’s more. What is the most iconic symbol of the region today? The Tyne Bridge? Well maybe, but if it is so then Gateshead can certainly claim its share of this wonderful eminence of solid steel. 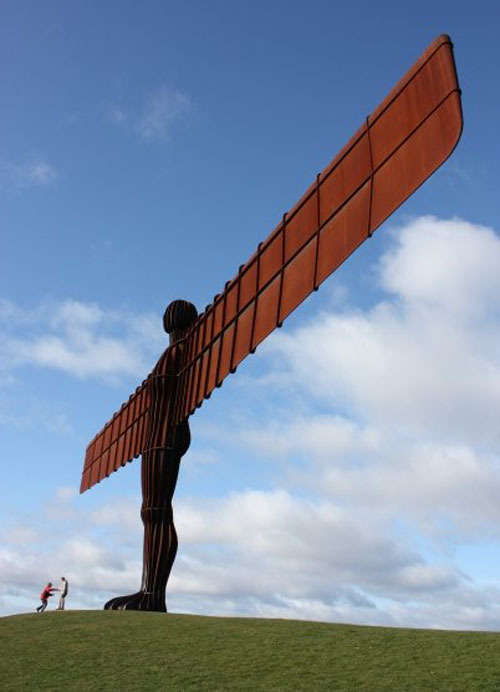 However, arguably the most internationally recognised symbol of the whole region, let alone Tyneside today, is Gateshead’s own Angel of the North. In fact it might even be described as the symbol of the entire North of England and it’s right here in Gateshead. Well, where else? Even down on the river, the Tyne Bridge is now somewhat challenged in the admiration stakes by the Gateshead Millennium Bridge which tellingly includes Gateshead in its name. Its modern elegant gleaming white arch certainly seems to connect with the companion buildings of Sage and BALTIC on the south shore a little more so than perhaps it does with even the most modern quayside buildings on the Newcastle side. Being a pedestrian bridge it is also, in human terms, the most effective link between the two ‘toons’ if we are to insist on that humbling dialect term for a community’s civic status. By comparison the magnificent Tyne Bridge, though undoubtedly the greatest symbol of ‘home’ for many a Tynesider, seems designed, despite its symbolism, to carry traffic through and away from the two places as much as it serves in bringing the two communities together. Of course it is the central business districts or retail centres that are often most identified as the heart of any city. Northumberland Street and Eldon Square, which though both pleasing, could, let’s be honest, be located almost anywhere, as much-loved as they are. They are as seemingly as popular as ever but it is reasonable to ask what they might look like in fifty years time considering the new era of online commerce which we are, in generational terms, still only just entering. In fairness, retail seems to be one area where central Gateshead is unlikely to challenge Newcastle. 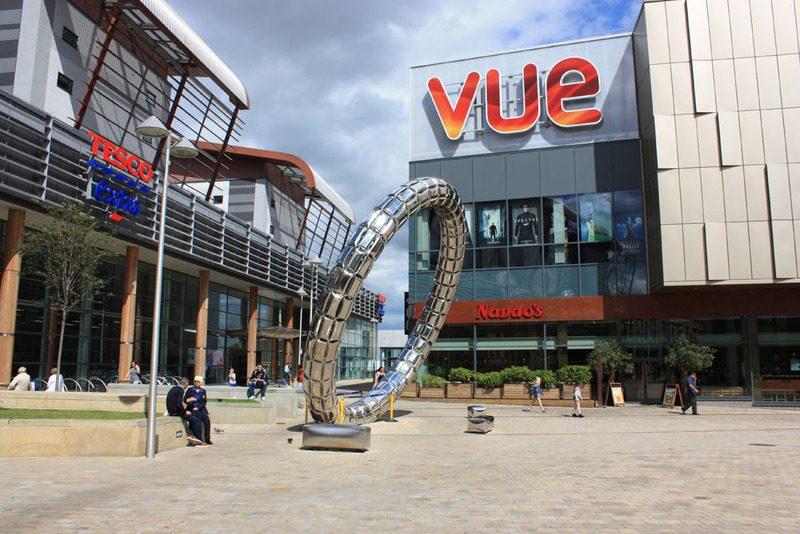 The modern Trinity Square in Gateshead town centre is certainly not on a scale intended to do so, although Gateshead’s out-of-town MetroCentre has given Newcastle town centre more than a run for its money for some decades now. We often hear the two places now described under one name ‘Newcastle-Gateshead’ and the initiative to market and develop the two as one seems to have been broadly accepted, at least for now, but might there come a day when the modern ‘city’ of Gateshead demands recognition and perhaps even a senior status in its own right, distinct from its grand, handsome but ageing partner across the water? Well, maybe not, but who would have thought thirty years ago that Gateshead could have developed into what it has become today? Gateshead Borough is home to around 200,000 people. It stretches from Whickham and Blaydon in the west to Pelaw and Felling in the east and south to Birtley. Sage Gateshead stands close to the site of Gateshead’s medieval streets including Hillgate. Hillgate or ‘Hellgate’ was where the Great fire of Newcastle and Gateshead began in 1854. Gateshead Millennium Bridge can tilt to 40 degrees. BALTIC gallery occupies a former flour mill established in the 1930s but was not opened until the 1950s. Rank who owned the mill often named mills after foreign seas. BALTIC stands on the site of the Hawks’Iron works (1858-1890). One Hawks’ employee was Geordie Ridley who wrote ‘Blaydon Races’. A painting of the Blaydon Races can be seen in Shipley Art Gallery. Underhill, the first private house in the world to be lit by electricity is now a care home in Kells Lane, Low Fell. According to the Venerable Bede, ‘Gateshead’ was ‘Goat’s head’. Gateshead was the site of a medieval hospital. For centuries in medieval times Newcastle tried to take control of Gateshead. It finally succeeded in 1582 in the reign of Elizabeth I in a grand lease that lasted 99 years. There was a Roman-British settlement at Gateshead roughly where the Gateshead Hilton hotel is now located.